Nadal faces Djokovic for the 53rd time, eighth in the final of a 'major'. In his umpteenth resurrection, the Balearic can add his 18th Grand Slam title, to two of Federer. Djokovic-Nadal, chapter 53 of one of the greatest, spectacular and dramatic rivalries in the history of tennis, the most repeated in the Open Era (since 1968) . 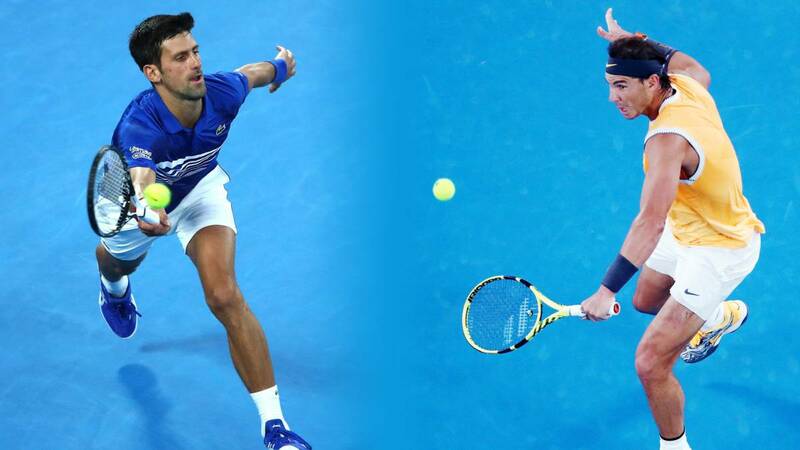 The Serbian, number one in the world, and Spanish, second in the ranking, face this Sunday (09:30, Eurosport) in the final of Open Australia, eighth in Grand Slams (4-3 in favor of Nadal) and second in Melbourne. The previous one, in 2012, went to five sets and lasted 5h: 53. Whoever wins will reduce distances with Federer in the historical list of great titles. The Swiss is 20 and Nadal could be only two if he wins the 18th. Djokovic would stay at five if he adds the 15th. The fight for the throne will be tightened if the Spaniard wins. And if the Balkan takes the trophy, he will add seven and no one will have won more than him. It is the best way to look where you look. Only there are two certainties in this uncertain final, that the winner will be a thirtieth for the tenth consecutive time and that a member of the most powerful trio of the sport of the racket will win for the ninth time in a row a Grand Slam. Since Federer won the first in 2003, there have only been five finals in which none of them has been. Nadal will try to put an end to a seven-game losing streak against Djokovic on hard court (the last time he won was at the US Open in 2013), with the data in his favor that is the one that has beaten the Balkan in majors more times (nine). And by the way, improve your balance at the end of the tournament aussie (1-3) . Nadal has returned to work what seemed impossible, recover from multiple injuries and compete better than ever on a surface that has not dominated with the same authority as the earth. In November it was very difficult to think that he could play at the level he is doing after a knee injury, another abdominal and an operation on the right ankle. Although with the Manacor, it rains on wet. Without going any further, he faced 2017 after two 'annus horribilis' and reached the game by title in Australia, won Roland Garros and the US Open. But what has been done in Melbourne so far is out of the ordinary. He arrives without losing a single set and nothing else has conceded two breaks in six games, because his new service mechanic has worked marvelously. In fact, he has two more direct aces than Djokovic (39-37), which exceeds in almost all the statistics. And it only happened 12h: 11 on the track, by 11h: 59 of his rival, who played only a set and a half against Nishikori in rooms. "The finals with Rafa are unique, take tickets," said Nole after qualifying against Pouille "He is the most important rival of my career," he continued. "I enjoy playing against him and against Federer, and I feel fortunate that both have pressed me a lot," Nadal said, returning the flowers to him. This Sunday they will forget the compliments and will fight in a game with an historical scent and an epic palette Djokovic-Nadal , chapter 53.